The flyers let you know what you're in for - an elegant figure reclines against a backdrop of flock wallpaper in a juxtaposition of the übertrendy and the super-cheesy. This pre-club joint is housed in an old brothel. 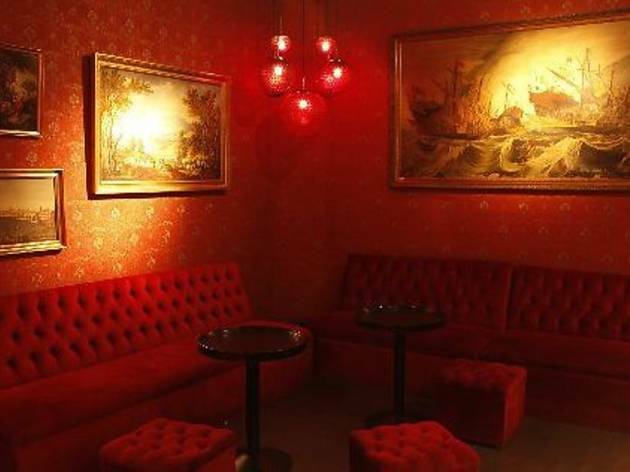 Faux oil paintings still adorn the walls, but red lighting, sofas and an ample sound system have transformed it into one of the coolest nightspots of the moment. DJs spin both underground house and electro for a mixed gay/straight crowd. 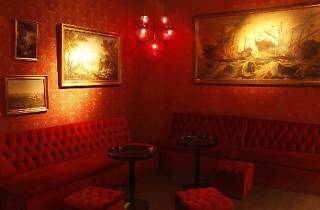 This mixture of baroque and electronica might seem a little bizarre at first, but you’ll get used to its red walls after the first drink.